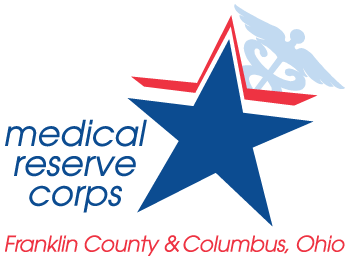 The Franklin County and Columbus Medical Reserve Corps is dedicated to establishing teams of local volunteer medical, public health and other professionals to contribute their skills and expertise during times of disaster and public health emergency, as well as throughout the year for community health promotion. 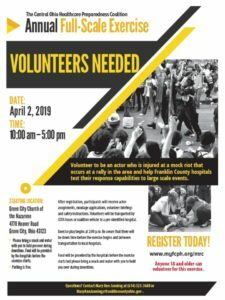 Click here to register to volunteer for the exercise. The satisfaction of giving back. The urge to take action in your community. The desire to make a difference when you are needed most. The feeling you had, as you watched the scenes of Hurricane Katrina on TV, that you wanted to do something. The MRC will help you be right where you need to be during a disaster situation, applying your skills where they are needed most. We strive to support capable, prepared, and knowledgeable volunteers to ensure that the citizens of Franklin County remain as healthy as possible in the face of a disaster. Both medical professionals and dedicated residents, 18 years of age and older, are encouraged to join. Medical professionals include doctors, nurses, EMT’s, veterinarians, chiropractors, LPN’s, physicians’ assistants, mental health professionals, and many others in the health care field. If you do hold a medical license, that license will be verified to determine your ability to perform certain tasks during a disaster. We recognize that during any disaster your family will be your first priority, so our volunteer training begins with family preparedness. If your family is not ready for a disaster, then you will not be able to leave them. With proper preparation and training, our volunteers and their families are ready for a disaster in Franklin County. We are also considering opportunities for medical experts to respond to inquires by phone during an emergency, possibly taking calls from home if need be. All volunteers are asked to complete our MRC 101 course and chose from two levels of volunteerism. The Responder tier will complete this course and will become active only in the case of disaster. The Leadership tier of volunteers will complete several trainings, prepare for specific leadership roles in the case of disaster, and assist with MRC activities throughout the year. No times and dates have been set for these trainings, as we are still in the development stages. Why is signing up now so important? 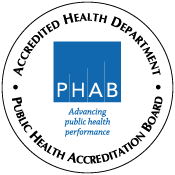 In previous national disasters, such as September 11th, 2001, and hurricane Katrina, the local public health infrastructure was overwhelmed and needed help. Volunteers arriving at the incident site, without being trained, without known credentials or without being affiliated with an organization, often hurt instead of help recovery efforts despite their best intentions. Through hard lessons learned, we now know counties experiencing a disaster situation need pre-credentialed, screened and trained medical professionals. The MRC meets these needs by providing an organized, rapid response of medical volunteers in a disaster. Visit www.volunteermrc.org to sign up to become a volunteer. No. Volunteers must wait for an email, fax or phone call from the FC&C MRC before deploying to the site. This allows responders to better control the incident scene, allows us to communicate important messages to better prepare each volunteer for service, and allows us to track all volunteers at the scene so that the response can be safe for everyone. If you are present when an incident occurs and want to assist those affected, the state recognizes and protects your liability under the Good Samaritan Act of 1977 (Ohio Rev. Code. Ann. 2305.23), indicating that no person shall be liable for ordinary negligence for rendering emergency care at the scene of emergency, outside of hospital or doctor's office. In this instance, you would be acting as an individual, and not as a representative of the FC&C MRC.